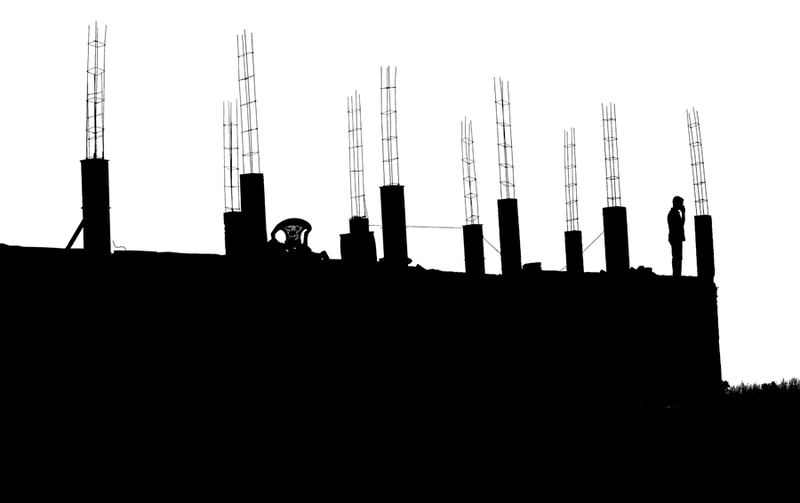 These are silhouettes of buildings under construction. Men with helmets and jackets and iron rods sticking out of half made buildings. 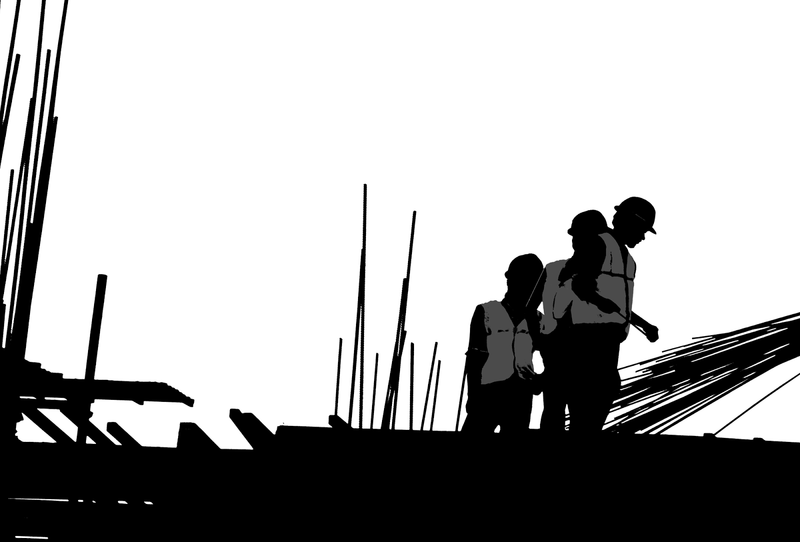 A silhouette of a man talking on a cell phone on an under construction building. Simple lines on a white background. 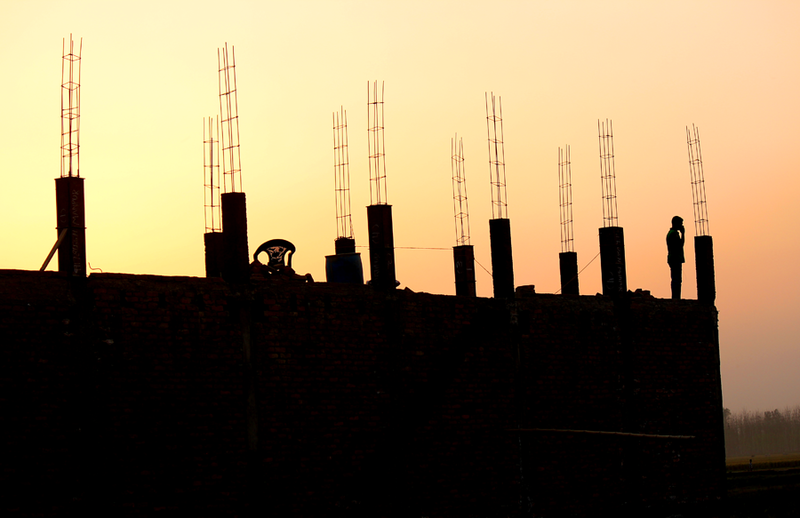 A construction site silhouette against a coloured sky. An orange red glow in the background. 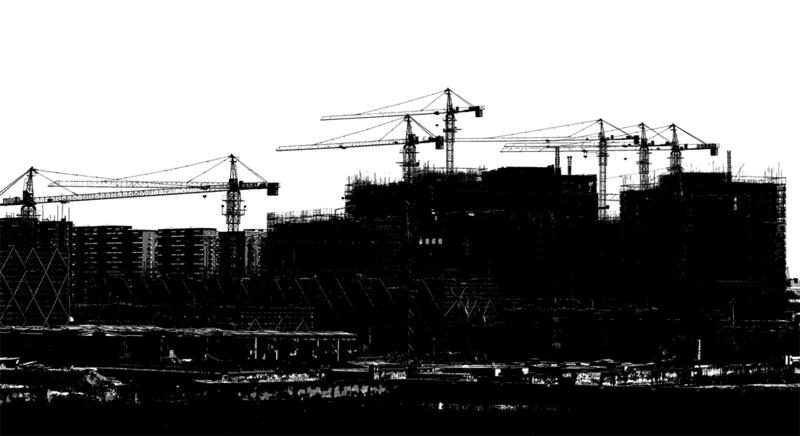 A large construction site in China - a silhouette. Scores of cranes atop several buildings. China construction. 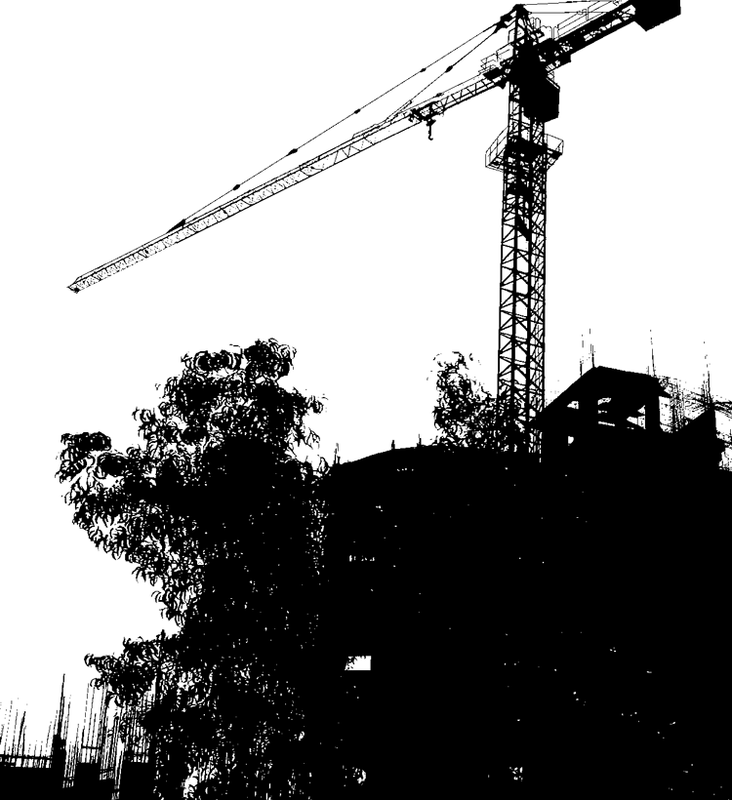 Simple black and white silhouette of a crane doing work at a construction site. Or Cranes Silhouettes or all Silhouettes on this website of people and places.